Like many American teens, I was the victim of a well-meaning society that used high school English classes to pound an appreciation of classic literature into my head. Like many American teens, I rebelled against this attempt to pry open my mouth and pour culture down my throat. Unlike many who endured this experience, I went back to the well of literature, in my own good time. I’m lucky. Some unexplainable motivation drove me back into the arms of the people to whom I had been so rudely introduced in high school. The clumsy way these folks were pushed into my face might have put me off reading altogether, as I’m sure it did to some. Fortunately, I had friends like Edgar Rice Burroughs, who kept me entertained with his less-than-classic adventures. While school was doing all it could to sour me on reading, Tarzan, and an assortment of Martians, kept my nose in books. He looks so stern and boring, but he’s a little Dickens on the inside. This still doesn’t explain why I came back to the “classics.” That was dumb luck. Without luck, I still wouldn’t have a good word to say about John Steinbeck. In school, I hated Steinbeck; I hated that little dog of his; I hated the cob-job of travel trailer he supposedly tooled around America in; and I hated the arrogance that made him think I had the least bit of interest in his vacation. These fires of hatred burned so brightly that they blinded me to the merits of The Red Pony or Of Mice and Men. Years later, I picked up East of Eden, and read it with actual pleasure – something I had no right to expect, from my past dealings with its author. I re-read Of Mice and Men, a great story, even though I can’t quite put my mind into George’s way of thinking at the end. I’ve never returned to Travels With Charley though, and I doubt I ever will. I’m afraid it would stoke up that dormant hatred again. It was a horrible choice for introducing a young reader to Steinbeck. I get angry just thinking about it. High school prejudiced me against people I’d never met. Somehow, I got through those years without having been made to read Dickens. This was my great escape. 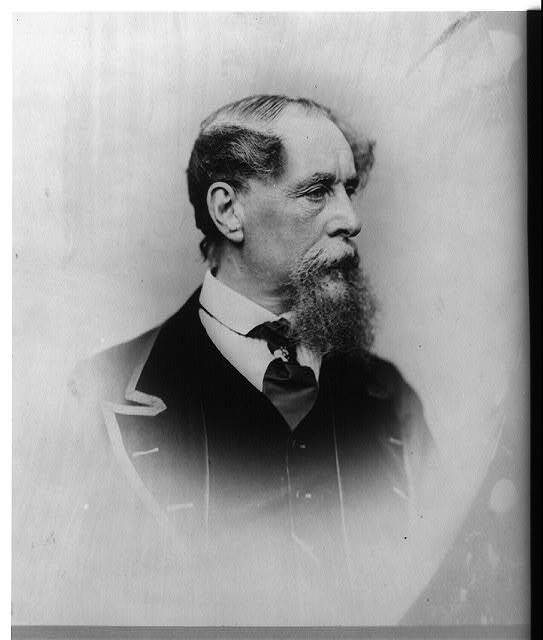 I was sure that Dickens would make me gag, just the same as the other old timers had. It was years before I got brave enough to pick up A Christmas Carol, mostly by accident. For all those years, I had counted a man among my enemies who should have been among my dearest friends. But I suffered from an extended case of Dickens-phobia, along with Shakespeare-phobia, and all the other phobias associated with my forced exposure to books heavier than my immature attention span. The phobia I’ve never overcome is the one about Shakespeare. Every English teacher in school was determined to make my class appreciate Shakespeare. There was no reprieve from Shakespeare; his ghost haunted every grade level. I’m still wary of him after all the kids he humiliated in front of the entire class. What made Shakespeare so insufferable was the demonic idea that his plays must be read aloud in class. If you can’t despise a piece of literature enough, reading it silently to yourself, just have your 10th grade classmates stumble over the text until even the teacher can endure no more and calls upon someone else to stumble. 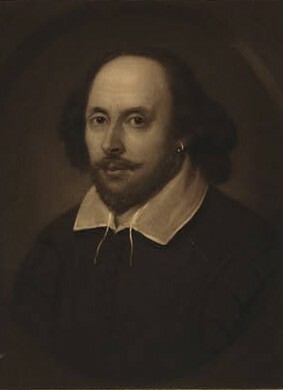 To this day I cannot read Shakespeare for fear that I will hear a teenager’s tortured voice as he stammers and stutters, banging his shins against those hurdles of words, arranged in an order completely nonsensical to everything he has ever read before. How many more readers of classic literature would there be if only our teachers had respected the literature a little more, rather than spraying it at us from a fire hose? If a teacher had given me Hamlet and said, “I think you’ve earned this,” I would have put more effort into understanding it. Even if they had said, “You’re not ready for this yet,” I would have wanted to figure out why not. That’s the way I got interested in beer. My peers and I became devotees of beer, mostly because nobody in authority thought we deserved it. We showed them. Maybe I’ve reached the point where I’ve earned another crack at Shakespeare, but I’m haunted by traumatic memories. Even though I don’t deserve it any more than I ever did, I’ll probably crack a beer instead. I still can’t read Shakespeare! Those old wounds run deep. I have a distant memory of a publisher who put out paperbacks of Shakespeare in contemporary English. The kids wouldn’t read those either and they didn’t last long, thankfully. Sometimes a spoonful of sugar doesn’t help the medicine go down.